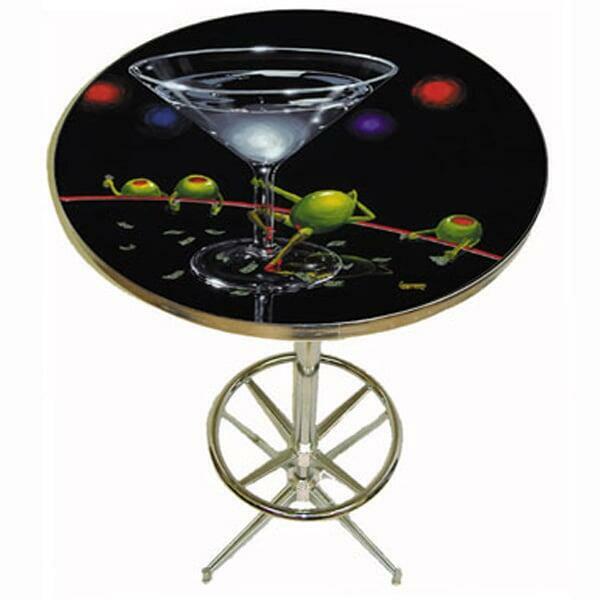 This pub table features the trendy and contemporary artwork from Michael Godard. Often called the Rock Star of the Art World, his designs have an edgy feel and look great as a focal point of any game room or billiard room. This item ships via UPS / Fed Ex. Most delivery times within the Continental U.S range from 2-5 days depending on location. All in stock pub sets orders received before noon will ship that SAME DAY.